The Grub Customizer PPA now is available for Ubuntu 13.10 Saucy Salamander and its derivatives. 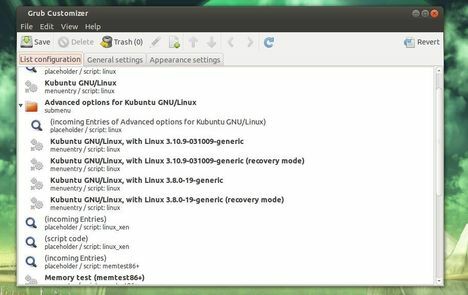 As you may know, Grub Customizer is a graphical interface to configure the GRUB2/BURG settings and menu entries. It allows to move, remove, rename and edit the bootloader menu entries, set the default operating system, reinstallation of the bootloader to MBR, etc. It worked, Now I just have to wait for burg manager and superboot manager for 13.10.